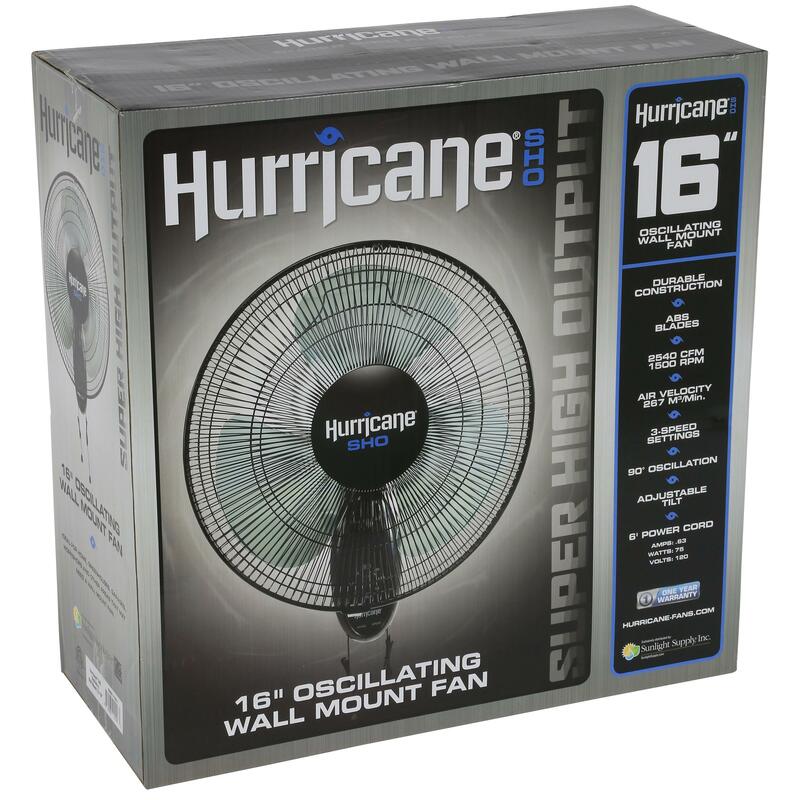 Hurricane® SHO Oscillating Wall Mount Fan 16 inch pushes 30% more air than our Classic and Supreme Fans. This new and improved design includes a powerful 75 watt motor along with an all new polymer blade. 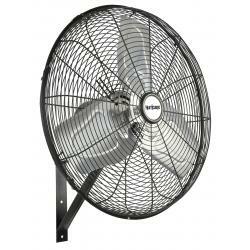 The Super High Output 16 inche fan has 2540 CFM and 1500 RPM to creat an air velocity of 267 M3/min. 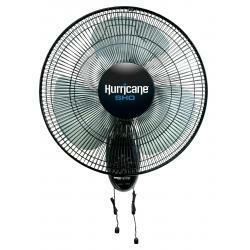 The fan has 3 speed settings, 90° oscillation and adjustable tilt. Versitile control of the speed settings and oscillation by using a turn switch or pull strings. 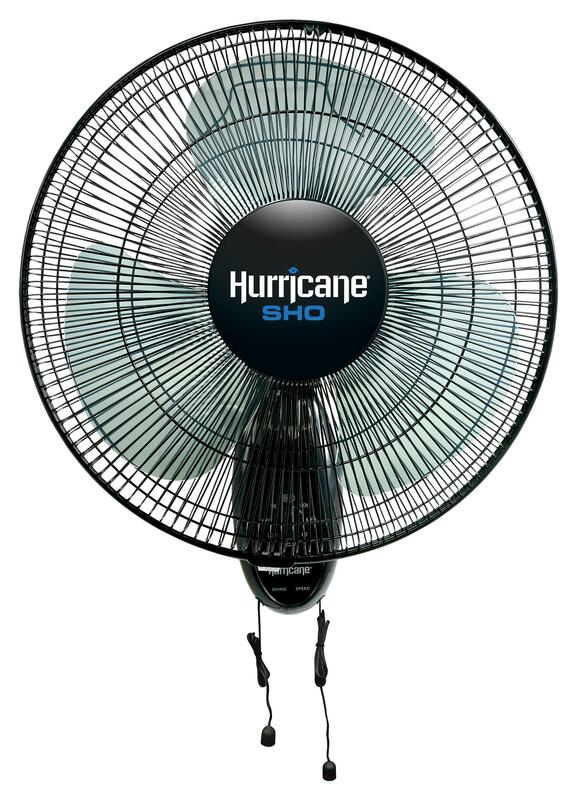 The SHO fan is made rugged with a metal grill and a black powder coated finish. Comes with a 6 foot 120 volt power cord. 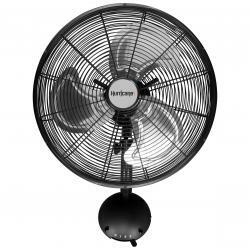 Classic series 16 inch wall mount oscillating fan. 90 degree oscillation 3 fan speed settings 2 pull cords for speed and oscillation Durable steel neck support 120V .5 Amps 60 Watts ETL listed. 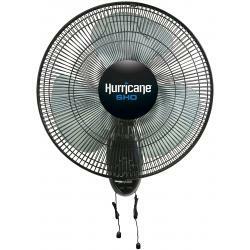 These excellent quality wall mount fans feature 3 speeds with a speed control knob and cord. They can oscillate 90 or be locked in place. 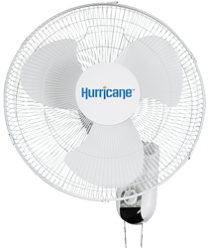 The fan head can also be rotated up and down for more directional control. Both are very quiet and efficient. Ideal for any area where space is in short supply. This fan has 3 speeds, is 120V, and has a 1/20 hp motor. It can oscillate 90 degrees or can be locked in one position. It is UL registered.